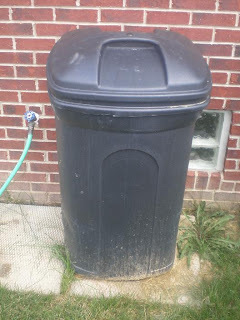 If you are interested in getting into composting but do not want to shell out over 300 bucks for an expensive tumbler, make a do it yourself trash can composter like I did. Making a compost tumbler out of a trash can is really simple as long as you do it right. Simply turn the unit on its side and give it a few turns to tumble the compost. I made my first unit a while ago and I would be lying if I said everything ran smoothly from day one. The first couple months were rough but I am glad I stuck with it. At one point, things were going so bad I almost gave up on the project. My trash can composter stunk in the worst way but I somehow convinced my wife that I could make it work and luckily I did. I have put together a list of things to do and not to do that will hopefully help the newbie trash can composters out there. Try to keep the brown material content higher than the green material in the can. I try to shoot for a 70/30 split. 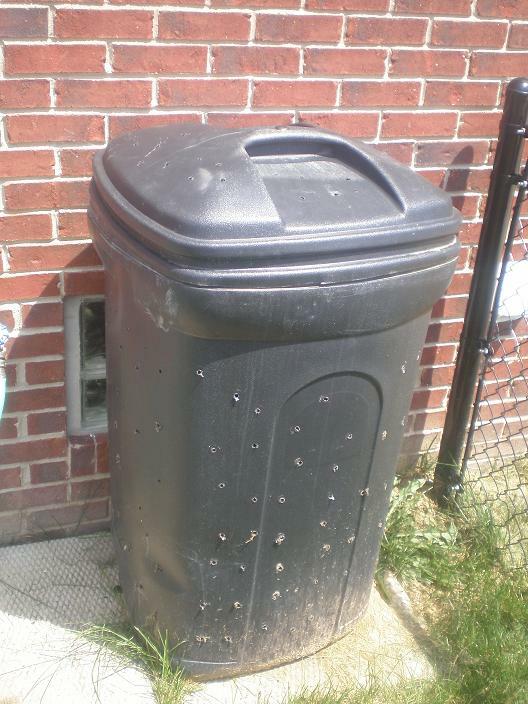 If you have too much green material, your trash can composter will start stinking. If your can starts to stink, add more brown material until the smell goes away. Always layer the brown material with the green. I have learned to make a sandwich out of my green material by putting a layer of brown material than green than brown. This helps in the breaking down process and also with the smell. Whatever you do, do not put fish guts in the pile. I know it sounds like a good idea but trust me... it never is. I ice fish a lot and thought that the smell would rot away by the spring. The compost would be awesome for my plants right? Wrong, the compost may have been good for the plants, but the smell came back with a vengeance. 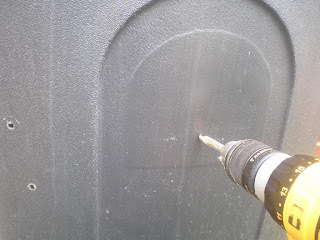 Put holes in the can before you put anything in the trash can compost tumbler. I started mine in the winter in the garage so I didn't want to poke holes because I didn't want the can to stink up the garage. That was a mistake. The composting process needs to be in a well ventilated can outside to work so it doesn't smell. Do not overload the trash can composter with material. I thought that I needed to completely pack the can so that I could get the most bang for my buck. All I did was make the material inside compacted together and the can harder to turn. The composting material needs to be turned regularly to keep the process going or the can will become stagnant. Turn the compost at least once a week. In the beginning, I would forget for weeks at a time and this prolonged the composting process. 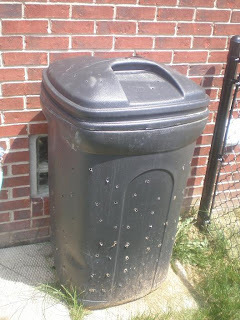 If you do hit a nasty wall like I did, cover the contents of the trash can composter with enough dirt to smother the smell. I then added water to the can and in three or four days the nasty smell went away. Make sure the contents are moist but not soaked at all times. The natural composting practice works better if everything is moist. Also, make sure to shred the material so it breaks down faster. When I first started, I would put huge chunks of cardboard in and wonder why they would never break down. Shred everything before it goes in so it is as thin as possible. Hopefully these tips will help you avoid some of the pitfalls I encountered with my initial compost pile. Do not let this post scare you away from composting. Composting is a worthwhile venture. Even with the issues I had at the beginning, I would do it again... maybe just not the fish.